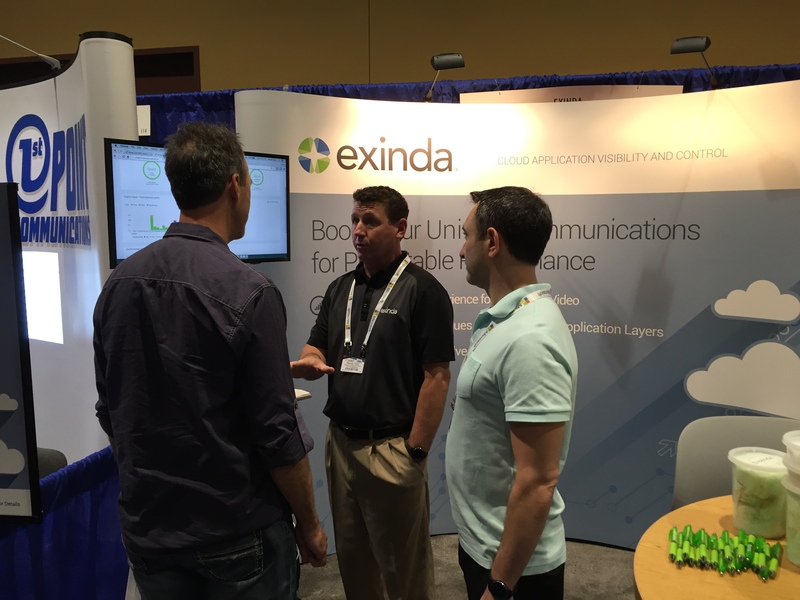 This week was a busy one for Exinda. We launched a new product, attended a massive tradeshow and had a little fun along the way. We launched our first QX Boost to help organizations gain the visibility and control they need for their critical cloud applications. The application we decided to start with – Skype for Business and what better place to launch than Enterprise Connect – the premier Unified Communication and Collaboration event in the United States. We sent a team down to Orlando for a little bit of sun and a lot of conversation. We talked to a number of people who stopped by our booth and had some great chats about the challenges around providing the Quality of Experience users need for Skype for Business. A lot of them talked about jittery and dropped calls and specifically problems identifying where the problem was and who was responsible for addressing it – the network or the UC team. Seems like there’s a lot of finger pointing going on. One thing that customers liked about our QX Boost for Skype for Business is how easy it was to resolve issues when they happened. We walked them through a demo to show how we give admins end-to-end visibility across both the network and cloud to proactively track and pinpoint session quality issues for voice, video and application sharing – whether at the network or application level. And not only do we tell you what the problem is and where – but we also provide some recommendations on how to fix it. This makes solving issues a lot quicker – something customers were excited about. Overall, it was a great show to get a chance to talk to a lot of people and get their viewpoint. Response was overwhelmingly positive and we got a ton of great feedback (wait until you see version 2!). If you want to see what got them so excited, drop us a line and we’d be happy to walk you through the same demo.